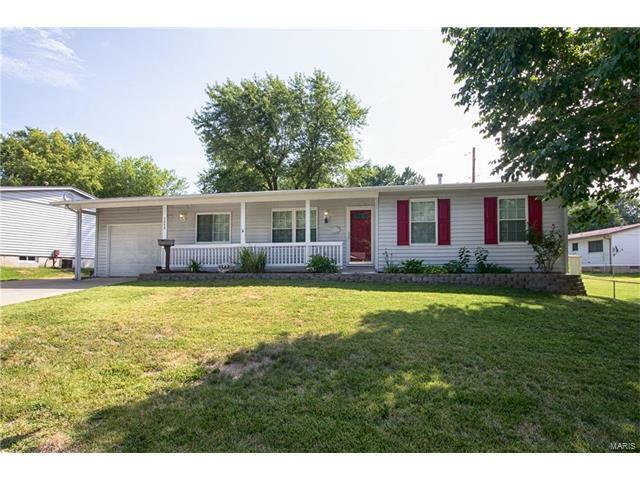 Welcome home to this recently updated 3 bd/2 bath ranch home in a great location! Newly refinished wood floors welcome you inside, and continue into the hall and all three main floor bedrooms. The full bath is upgraded with beautiful tile work and is quite a retreat. The kitchen includes a new gas range, newer dishwasher, new countertops, new kitchen sink, new disposal, and newly painted white cabinets with hardware. The entire home has recently been painted as well, nice and neutral and ready for anything decor that you'd like. There is also new carpet in the living room and dining room and downstairs. The lower level offers plenty of finished living space, a sleeping area, and bath with shower. Keep your car dry and snow-free in the attached garage, and enjoy the beautiful weather on the large patio in back with a fenced level yard. All of this just seconds from Hwy 270 and the Page Ext! This home has so much to offer- call and make your appointment to see it today!